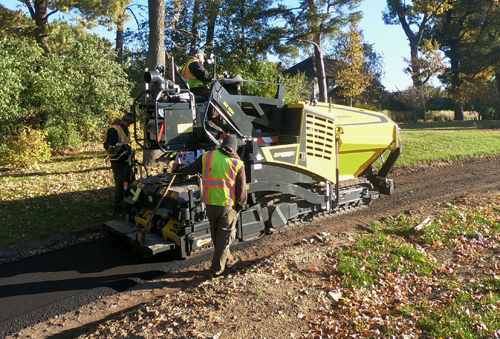 The BF 300 C-2 tracked asphalt paver can pave widths between 5.6 and 11.2 feet, and up to 16.4 feet with screed extensions. Reduction skids allow paving at 2.3 feet. The paver’s operating console and seat slides left and right on the patented Sideview system, and the seat swivels for up to a 23.6-inch overhang. Another patented technology, Magmalife, heats screed plates in about 20 minutes, the company says, using heat elements cast into a single aluminum block. The paver’s Load Control System (LCS) enables the operator to securely lock the screed into position for a set duration after paver restart. Upon restart, the locked screed sheers off bumps in the mat as it moves forward. The 10-ton hopper has a hydraulically folding front gate in addition to individually controlled wings. Left and right independently controlled slat conveyor assemblies channel material to the spread augers. The Tier 4-F 74 horsepower engine requires no DPF or DEF aftertreatment. Standard Ecomode active engine and hydraulics management system reduces fuel consumption by up to 20 percent, according to the company. Transport dimensions are 16.6x9.2x6.2 feet. Reduction skids allow paving at 2.3 feet. 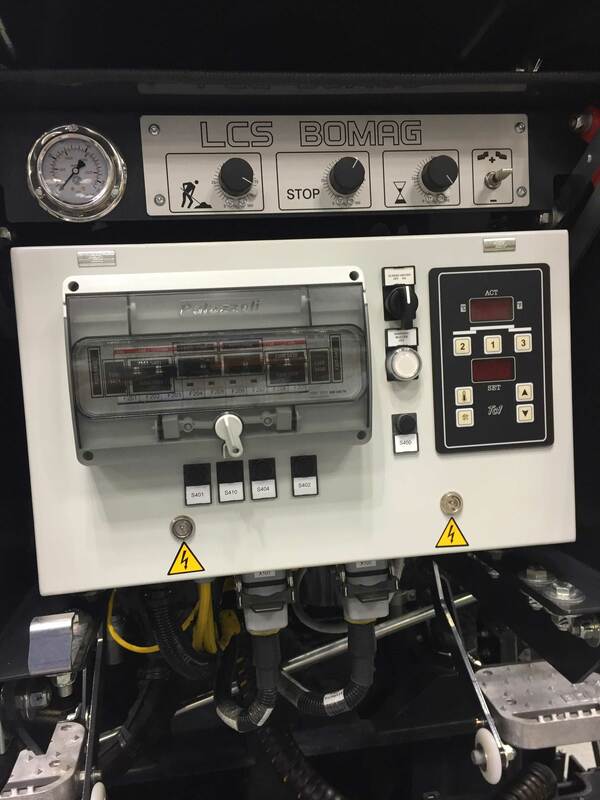 More from Bomag Americas, Inc.